For laser checks. Eliminates addressing. Saves time. Specify software used. Standard Gum Touch & Seal, Furnish the Cat. No. printed on your checks to get the matching envelope. 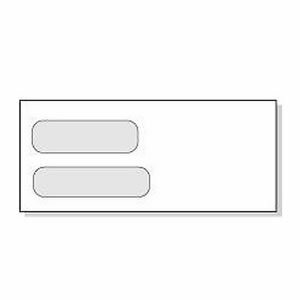 One window and no window security envelopes are available plain or with return address imprint.